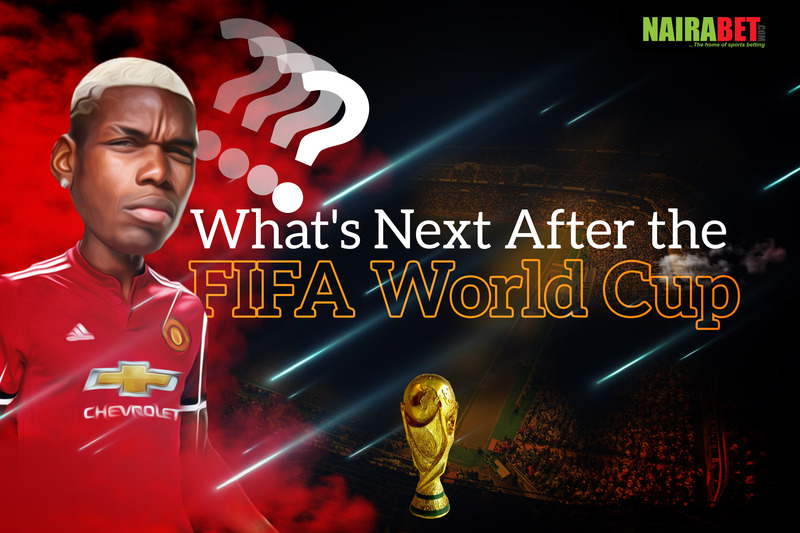 What Next After the FIFA World Cup? 31 days of World Cup action has come and gone! In that period, the Russia 2018 World Cup overshadowed every other sporting event that happened – Wimbledon, Formula 1 races among other things. After the 64 matches in Russia, the countdown to the 2022 edition of the event in Qatar will begin, with different countries looking to do well once again. But as things stand now, the most anticipated event of the summer has come… and is gone. All the World Cup hype has now become folklore. All the drama in this edition of the competition can now only be revisited in memory, on social media or different websites (like this blog..hehe). This brings us to the question: what next after the FIFA World Cup? With the mundial now gone, is the football season set to go on a break? The football leagues – especially the English Premier League, Spanish La Liga, Italian Serie A, German Bundesliga and French Ligue 1 – that have been on break since June will resume action starting from the month of August. It won’t be long before we see many of the superstars back in the jerseys of the club-sides. It won’t be long before the weekends come alive again with several matches and plenty of options to choose from. You don’t have to wait long to start making money from these games. That’s because these games are already available on NairaBET. All you need to do is click here to make your early predictions and start winning. Despite the World Cup, players have been making moves from one club to another – Cristiano Ronaldo, Riyad Mahrez, Xherdan Shaqiri, among others. With the biggest sporting event of the summer coming to an end, the transfer market will come alive. The rumour mills will become even more active, and even more players will make moves as clubs seek to strengthen their base before the season begins. Another season of UEFA Champions League football and UEFA Europa League football will resume come September. While some teams have automatically qualified for the competition, some other clubs have to find their way via the qualifiers. The qualifiers – which have already started – will run throughout the summer, with several games being played across Europe. Click here to make some extra cash from these qualifiers. In preparation for the upcoming football season, clubs in Europe have officially resumed for the new season, with players returning to their different clubs and training sessions being in order. In the days to come, these different clubs will be travelling to different countries – like U.S.A., China, Hong Kong – to take on other different clubs and prepare well for the new season which resumes August. Although they’re friendly games, you can still make some money from them. Click here to browse through the list of upcoming friendlies, put your money where your mouth is and win big. As teams prepare for the new season, which player do you think your favorite club should go for this season? Leave us a comment and share your thoughts with us.